Hi, I’m Clare! I’m an avid cyclist, travel-lover and recent founder of Epic Road Rides, the travel website for road cyclists. In May this year, I quit my job as a lawyer to set up a site I’d been dreaming of for years: Epic Road Rides was born! Epic Road Rides is the one-stop shop for free, independent information on the best places to ride. 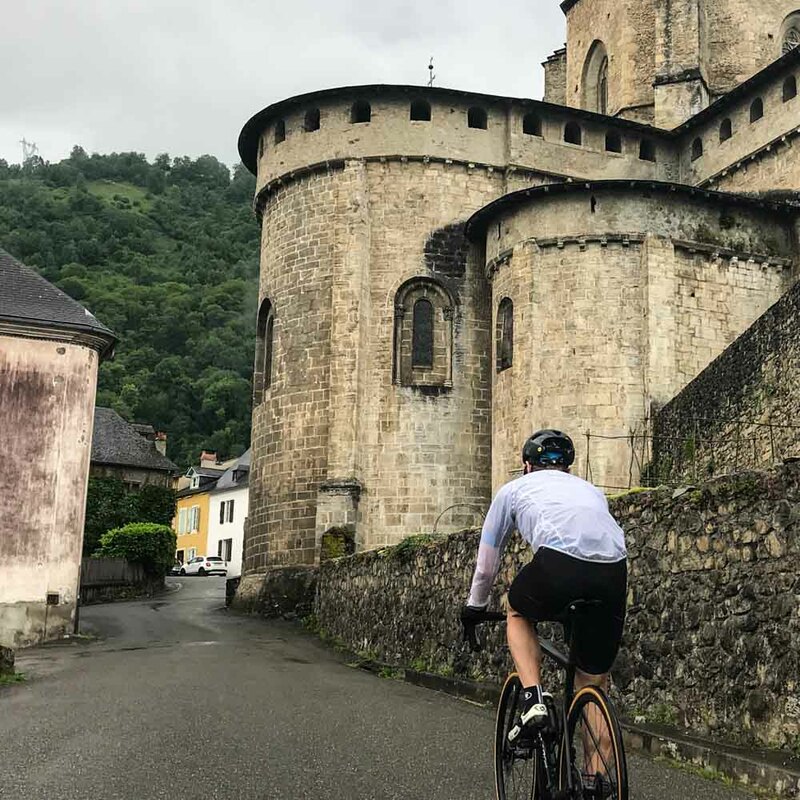 We give you the lowdown on the routes to ride (plus free GPX downloads), where to stay, when to go and bike hire; everything you need to plan an unforgettable cycling trip. My new job, scouting out the world’s best places to ride and then writing about them, is undeniably awesome. But the best part is not the popular routes that appear in Tour de France guides and coffee table books. For me, it’s all about the secret, hidden routes. The places not many people know about, that offer something exceptional: whether it’s peaceful isolation, majestic views or simply a big, tough challenge and (ideally) a cracking descent. So here are my top five secret climbs in Europe. Let me know what you think! First on most people’s Alpine bucket list is Alpe d’Huez. It’s a rite of passage for any passionate cyclist. But don’t just tick the Alpe off and leave! There are some fantastic other rides near Alpe d’Huez that are much quieter but equally unforgettable. One of my favourites is the 6km climb up to Oulles. It’s super narrow, with loads of hairpins, craggy rock faces and some sweeping views too. At the top it’s a dead-end with a small village, a sometimes-open cabin selling refreshments and a water fountain. 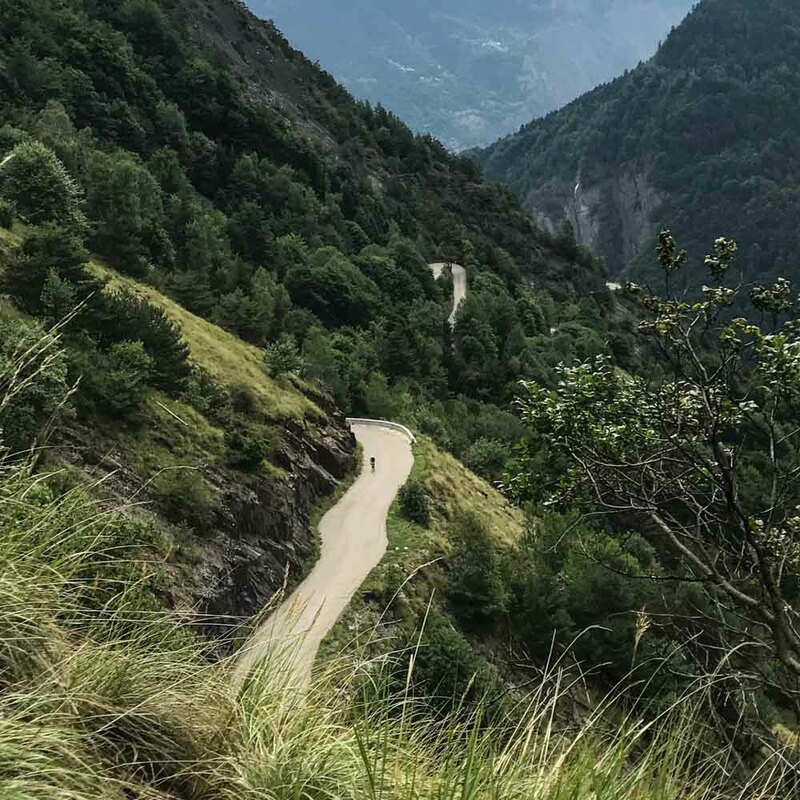 The climb is close to Bourg d’Oisans and you can read more about it in our guide to cycling Oulles and the Col d’Ornon loop. Col des Bordères is one of those amazing roads that’s permanently overshadowed by its more famous neighbours. At 18km long and 1,156m high, it’s no minnow. 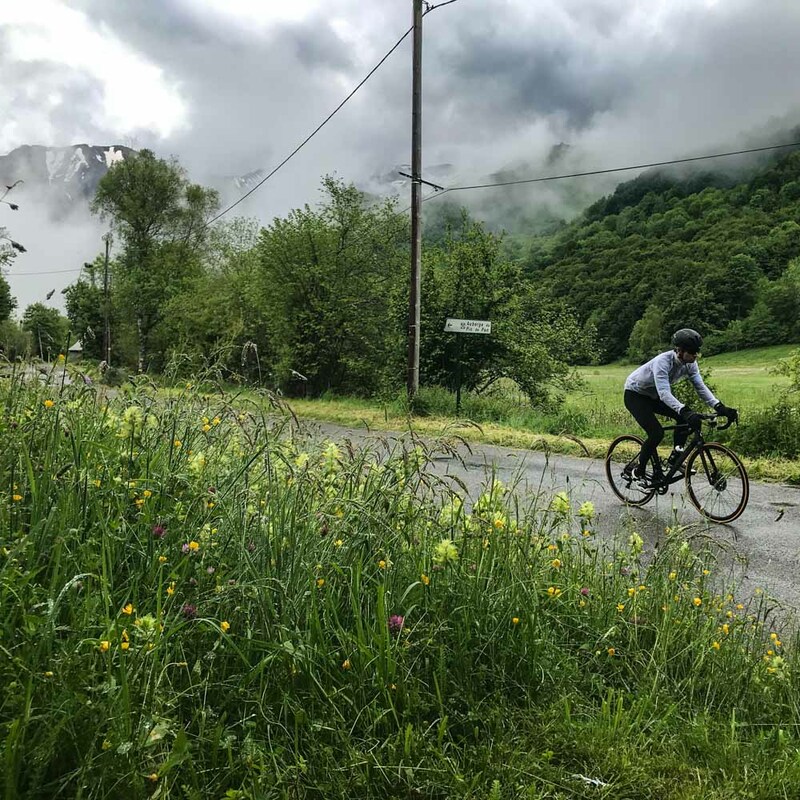 The lush, green Gave de Pau valley, the tough steep gradients out of the hamlet of Estaing and the spectacular mountain panoramas at the top of the col, all make for a fantastic ride. 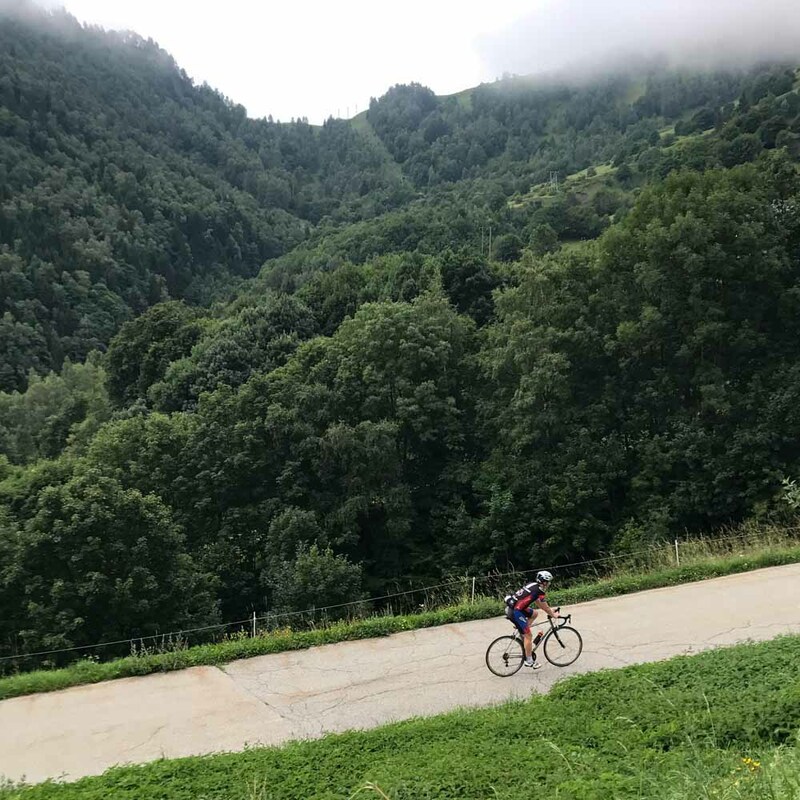 But, even with a 2018 Tour de France appearance, when you’ve got the legendary Col de Soulor and Col d’Aubisque a few kilometres away and Col du Tourmalet on the other side of the valley, it’s easy to slip into obscurity. 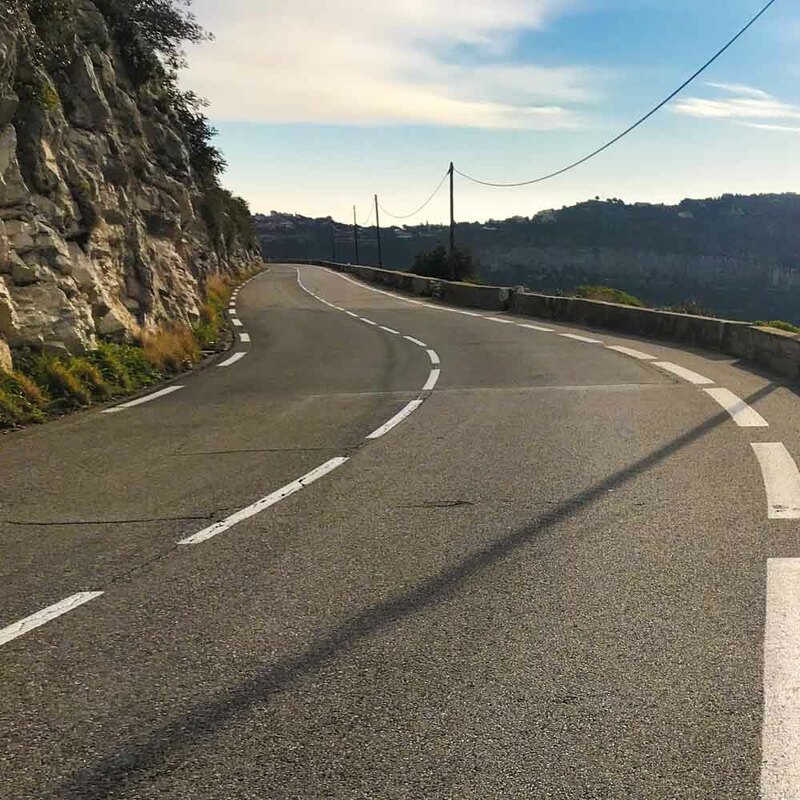 The upside of this low profile is that you’ll probably have our fabulous Col des Bordères loop all to yourself. In the cycling world, Tenerife and Mount Teide are basically synonymous. Everyone that goes to Tenerife rides Mount Teide. There’s no doubt that Teide is an incredible climb – and with at least five main ways up, it can keep you occupied for many a day. But my tip is to make sure you leave at least one day Teide-free and head to the north-east of the island. Up there you’ll find the TF-12 which many say is the most beautiful road on the island. 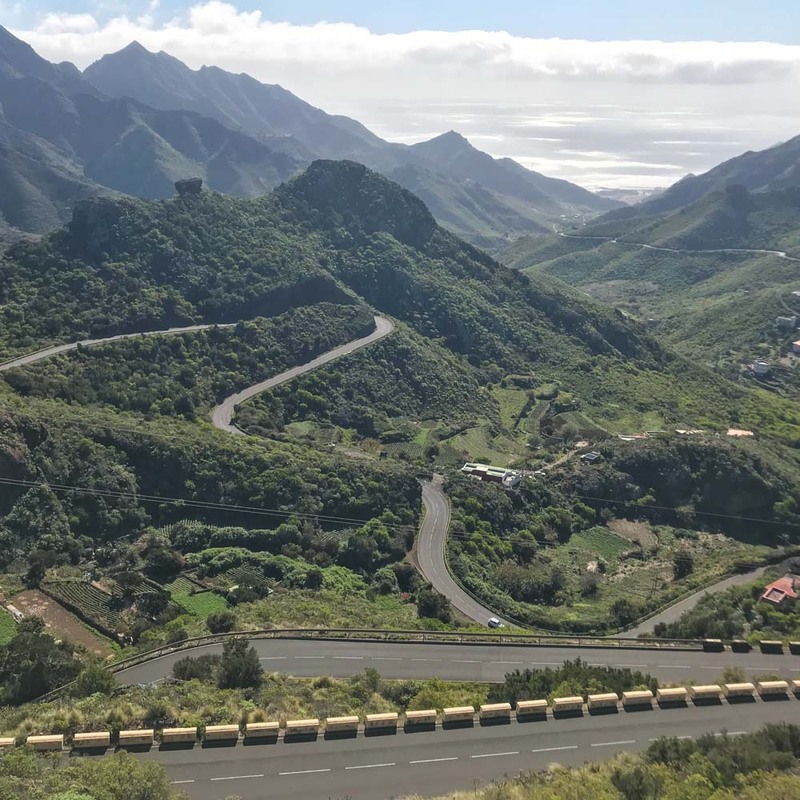 It takes you through the spectacular Anaga mountain range, past ancient laurel forests, deep ravines, craggy peaks and tiny hamlets. It’s also a great choice on a hot day as, unlike much of Tenerife, the road is partially shaded by trees. But if the heat does get too intense, you can always “nip” down to the sea for a quick dip! 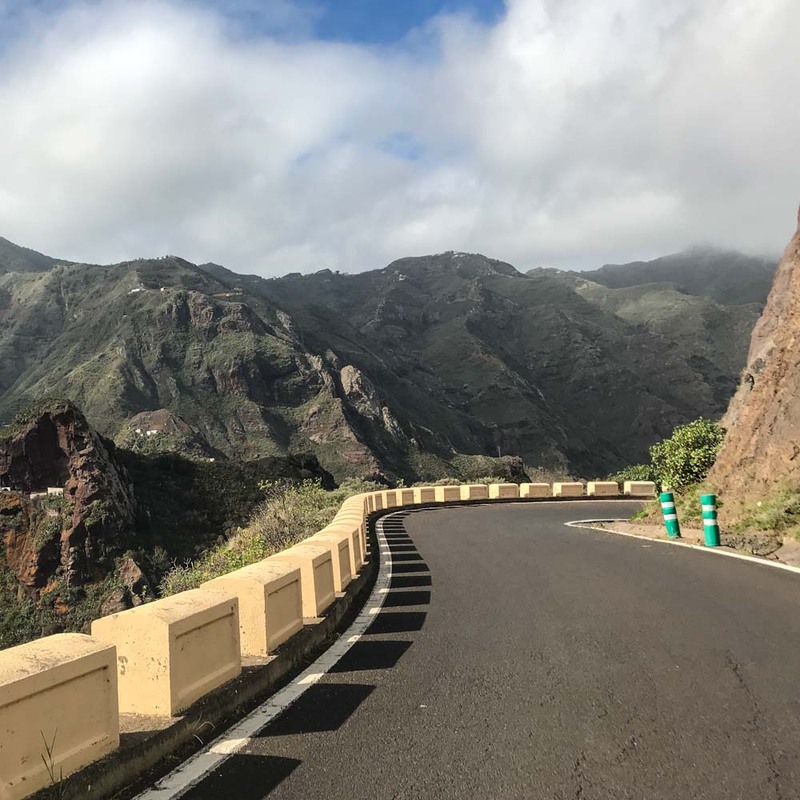 Get all the information you need on cycling Tenerife’s Anaga mountains, here. I’m always surprised that Nice’s three corniche roads aren’t more famous amongst cyclists. I think they’re brilliant. 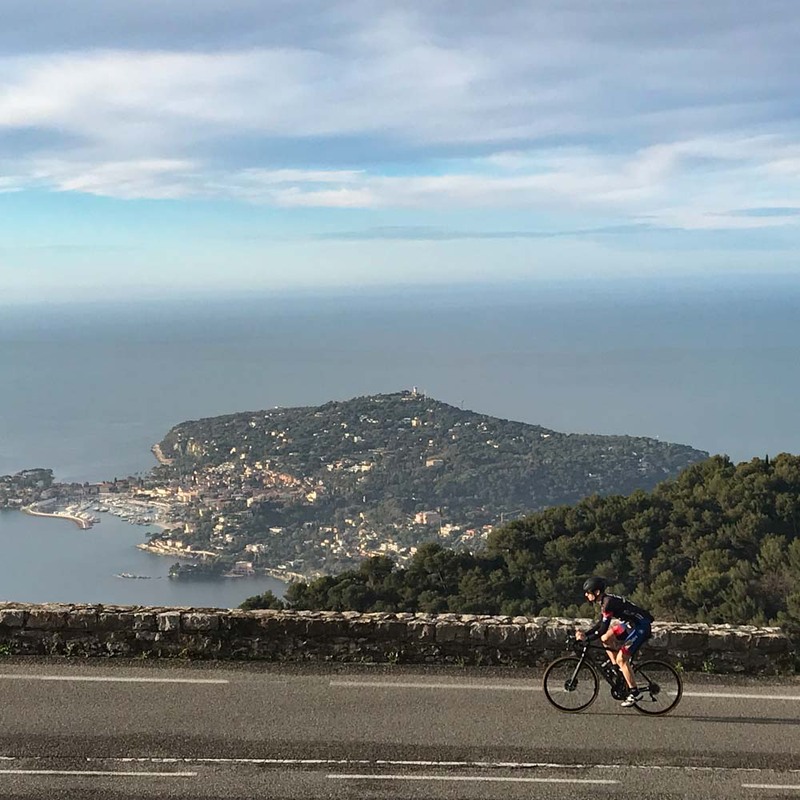 Each of the three climbs runs east from Nice, towards Monaco and the Italian border. The lowest is the Basse Corniche, then there’s the Moyenne Corniche and above it sits the Grande Corniche (AKA Haute Corniche). The Grande Corniche is my favourite of the three roads. The climb starts immediately as you leave Nice’s beautiful port and seafront. 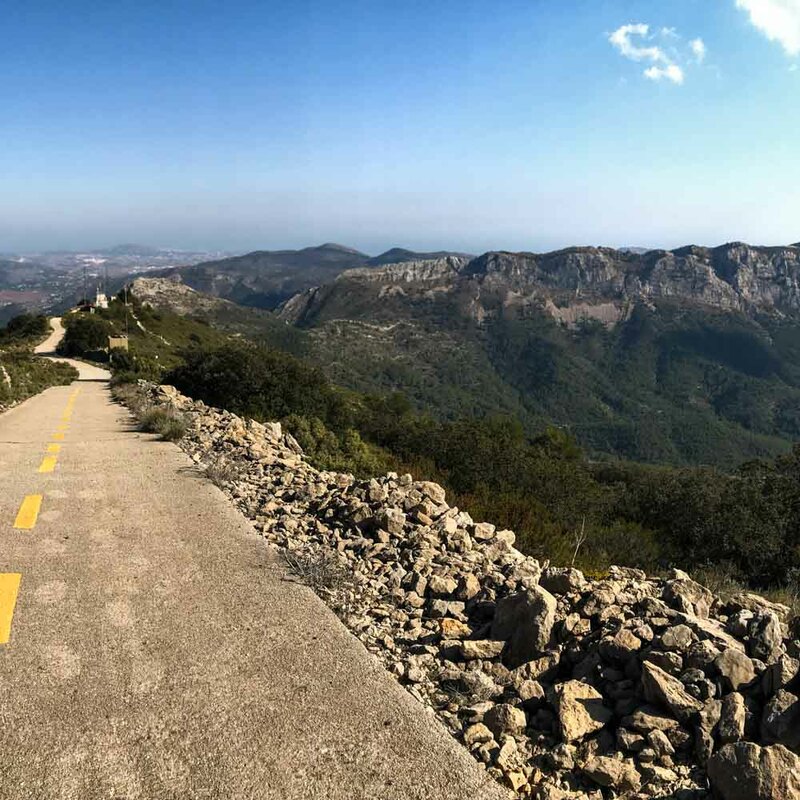 Riding it takes you about 500 metres up above the sea and includes the 10km Col d’Èze. The scenery is a dramatic combination of vertical cliffs, luxurious villas and azure blue sea. Tempted to check it out yourself?! Our guide to cycling Nice and the Grande Corniche has full details. 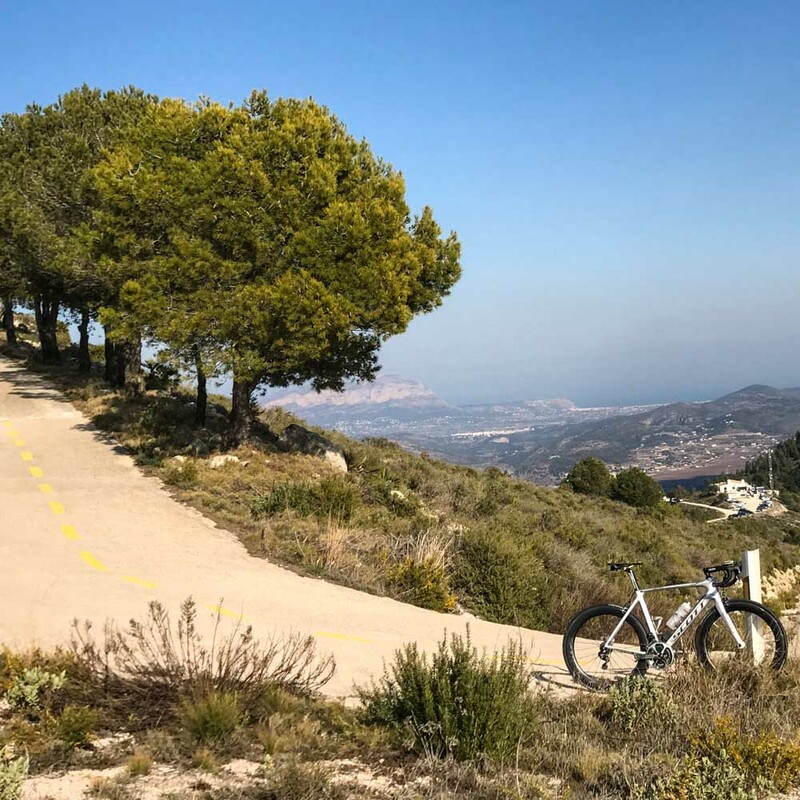 If you’re cycling near Calpe and Dénia on the Costa Blanca, the most famous climb is the Coll de Rates. What’s less well-known is that if you cycle past the restaurant and through the car park, there’s an odd little path that continues up the mountain. I say odd, because it’s narrow, like a path, but it’s almost all excellent quality, smooth asphalt (there are just a couple of short, stony sections, but we found it fine on a road bike). What’s also strange is that there are yellow lines down the middle of it, like a road, yet the path can’t be more than a couple of metres wide! I have no idea why it’s there but, if you’re cycling the Coll de Rates, you need to also ride this path to Coll de Rates’ hidden summit. Over the course of its 3 km, the path rises 300 m (so a 10.5% average gradient!) but the 360-degree panorama from the top makes it worth the pain. It feels like you’re on the roof of the world. I hope this post has left you feeling inspired to explore some of the world’s lesser-known climbs and if you’re looking for further information/inspiration make sure you visit epicroadrides.com. What’s your favourite “secret” climb? Drop me a message to let me know? This entry was posted in Adventure More and tagged 2018, 5 of europe's best climbs, adventure, adventure more, advice, blog, cycle holiday, cycle routes, epic road rides, facebook, goat, inspiration, instagram, mens cycling, motivation, news, review, road cycling, small business, social media, spotlight, Stolen Goat, womens cycling.